Our internet fax service makes it easy to send and receive faxes by email… no fax machine required! With built-in smartphone service, the future of faxing is finally here. 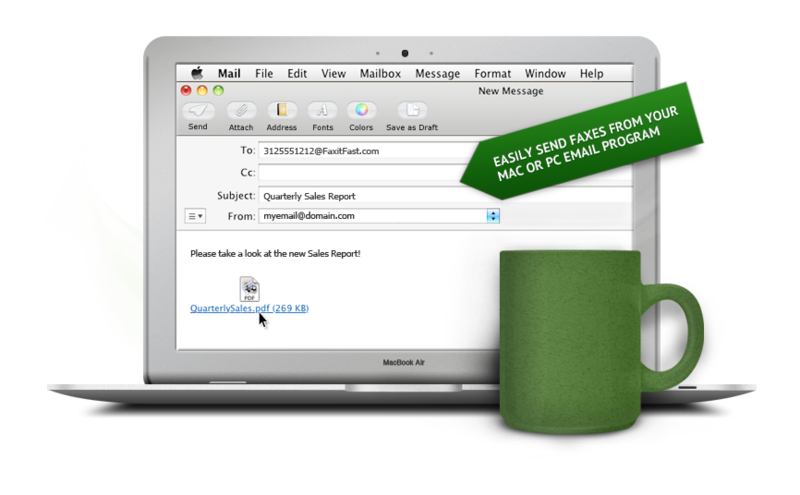 Sending and receiving faxes by email has never been easier... there's no software to download, no fax machine necessary and FaxitFast works with ANY email account. Manage faxes from your existing email account, on the web or from your smartphone! FaxitFast lets you manage faxes on-the-go from your existing email account...it's as simple as composing a new email and attaching up to 10 documents. If you've ever sent an email from your smartphone, then you're already a pro! 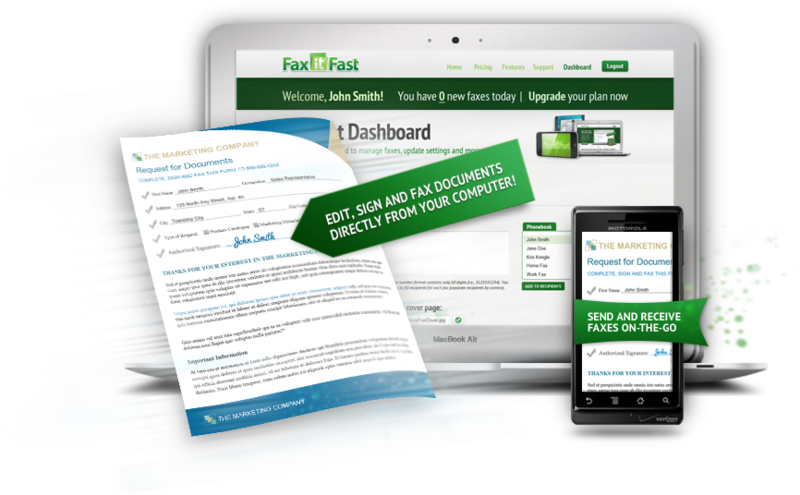 Every FaxitFast plan comes with built-in mobile faxing; sign up now and instantly begin faxing from ANY smartphone. Our service works seamlessly with any existing email account, allowing you to easily manage faxes on-the-go WITHOUT downloading any apps. Need to send an email to fax? Easy! Just compose a new email, put the number in the address field (3125551111@faxitfast.com) and click send. It’s just that easy! By using FaxitFast to send faxes via email, you are not only saving precious paper and trees, but also preventing pollution by not printing transmission reports and unnecessary faxes. Faxing from the internet means never worrying about busy signals - your internet fax number is always on 24/7. 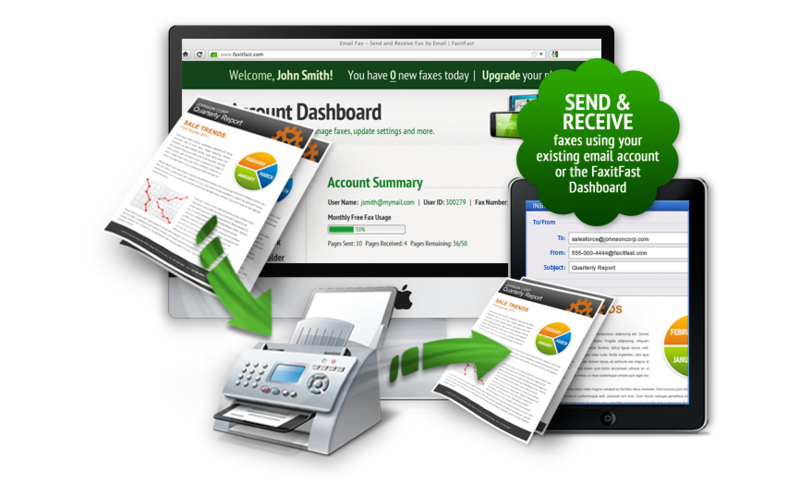 FaxitFast makes faxing simple with no software to download and no fax machine necessary. Easily send and receive faxes anytime, anywhere - All you need is an internet connection. Start faxing in 60 seconds! Get instant access to your dedicated email fax number and begin sending and receiving faxes within minutes of signing up! Our web-based software makes it easy to fax via email from any computer or directly from your smartphone. Invalid password, try again or reset your password.